This week in Your Parents Basement, we’re getting transported into an alternate dimension to fight comic book monsters! 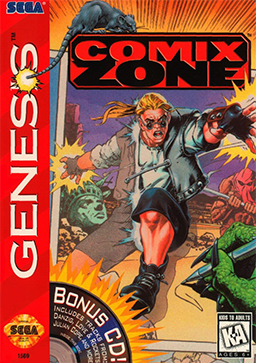 We’re playing Comix Zone on the Sega Genesis, a game with awesome artwork but frustrating play issues. 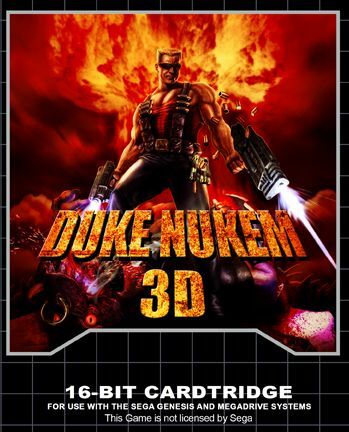 0:00 – The intro, which features the main title theme from Comix Zone. 37:50 – The ole YPB email box! 1:01:45 – The snifferoo for next week’s episode. – We mention the Japanese box art on the show, which is shared by Brisket. You can find it here. It’s not NSFW, but it’s not exactly normal either. – Also at several points, we mention the music video for “Take On Me” by A-ha, which you can read about on Wikipedia here. If you’ve somehow never seen it, it is on YouTube. – Want to see a ridiculous speedrun of Comix Zone in 12:36? As usual, YouTube delivers. – Interested in Game Center CX? You should be, it’s oddly hypnotizing to watch! 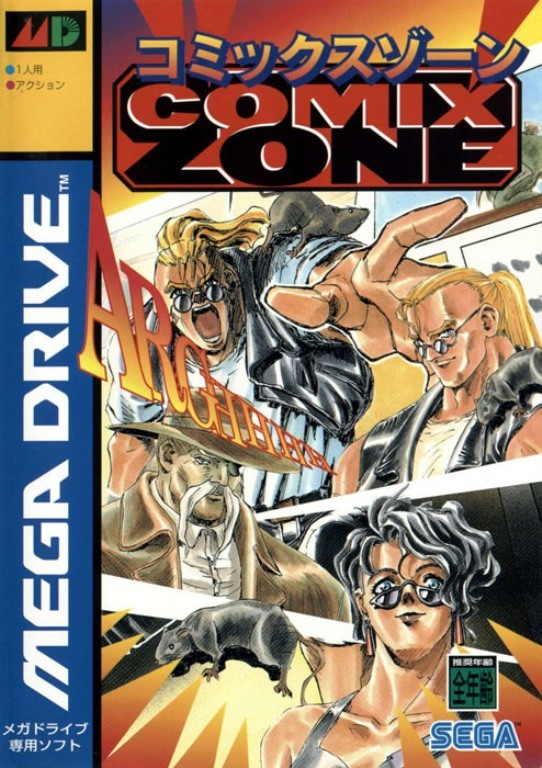 Arino’s challenge of Comix Zone is here. – Comix Zone starts at around $10 on Amazon, although the box and manual adds around $20 to the purchase price. As we said on the show, the game is available on Steam and online console stores for $3 and $5, respectively.